What Is the Ideal Team Size to Maximize Productivity? Rather watch than read? Watch a video version of this post, and subscribe to our YouTube channel for more great videos. 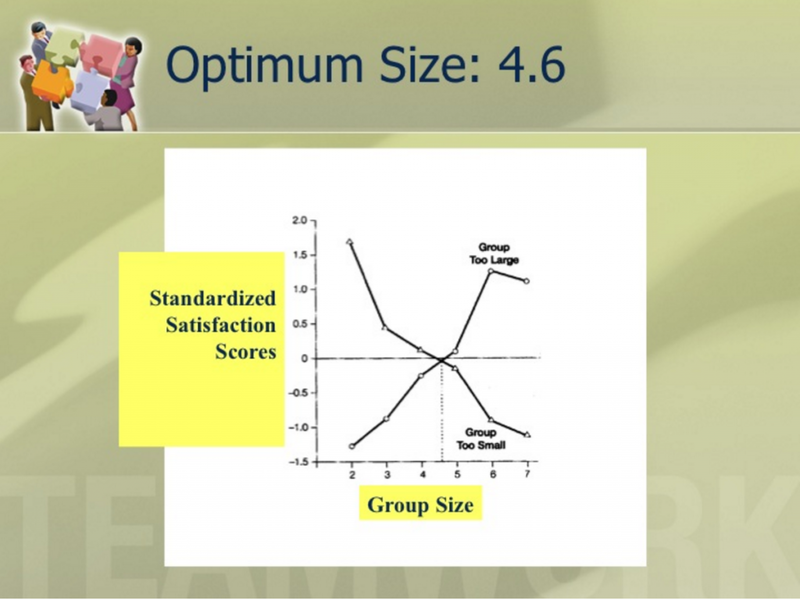 The best team size is 4.6. So say the guys in white coats who make a living answering questions like these. But as soon as you hear that number, you can probably think of plenty of objections. What about skillset and dynamic and leadership, and on and on? But the question is worth asking. Is there such a thing as an ideal team size—one that will move quickly, make decisions rapidly, and get stuff done with remarkable productivity? This is more than managerial curiosity. The question has enormous implications for business. Hiring people costs money. Hiring the wrong people costs even more money. A team with too many members could trip over itself, but a team with too few may be heading towards disaster, too. This is why a lot of hiring managers try to lock down the perfect size for a team. You’re trying to find that sweet spot in productivity and cost savings. The problem is, many go about it all wrong. You don’t begin with an ideal team size and then fill the gaps. Let me share some stories, a bit of research, and then the ultimate answer to the question that’s now burning in your mind—what’s the ideal team size? Conventional wisdom says that two heads are better than one. The more people you have working on a project, looking at the angles, and contributing ideas, the better off you are, and the more likely you are to hit your goals. 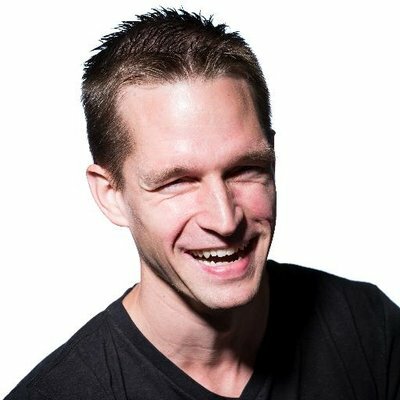 Having more hands on deck is attractive, even if you’re talking about building a small team that’s just a bit larger than what you have now. But throwing more people at something doesn’t automatically produce success. If you act on the belief that more people means better results, it requires you to treat each individual person as an equally measured solution—like stackable cups that each hold the same volume. People don’t work like that. 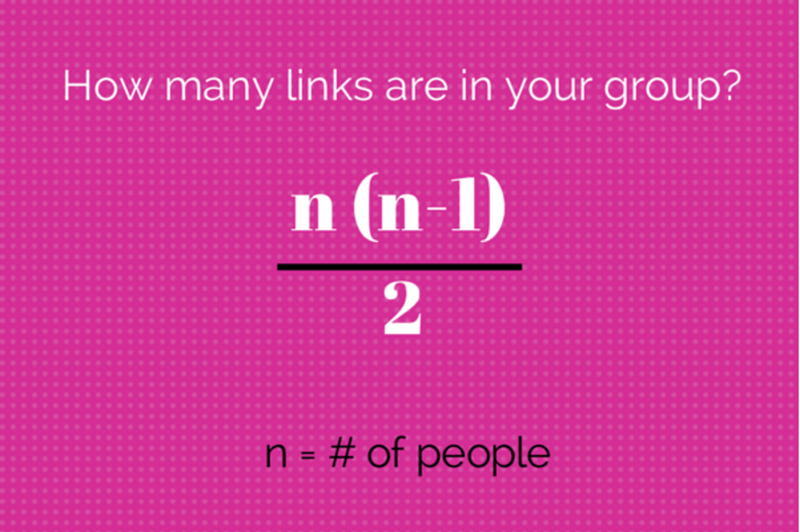 Building a team by the numbers is ineffective. One former executive recalled that, at an offsite retreat where some managers suggested employees should start communicating more with each other, Bezos stood up and declared, “No, communication is terrible!” He wanted a decentralized, even disorganized company where independent ideas would prevail over groupthink. What was his point? Isn’t improving communication a good idea? Of course it is. But Bezos was more interested in allowing innovation and independent decision-making to thrive, aided and abetted by the right communication (not more communication). That’s where team size comes into play. Bigger teams produce more communication hurdles. Smaller teams enjoy more fluid and spontaneous communication. Bezos coined the concept of the “2 pizza teams”: If a team couldn’t be fed with 2 pizzas, then it was too big. Does this give us a magic number for team size? What if Jerry skipped breakfast? Oh, and Sally is on a diet. And by the way, Joe typically eats seven slices of pizza. Again, personal dynamic shapes the creation of the right team size. Bezos’ focus on the independent is a smart approach. When you focus on the team size, you ignore the individual. Communication matters. And more communication reduces team productivity. The proper team size for maximum productivity is probably going to be in the 5-7 person range. Unless Joe is going to eat a whole pizza himself. And Sally is doing Whole 30. Management and leadership experts from Pennsylvania’s Wharton University discussed this approach in great detail, acknowledging that size should not be the first consideration when putting together an effective team. After understanding the task or the goal of the team, the next step, says Mueller, is to understand the composition of your team. What are the skills that are necessary in order to achieve the goal? When you identify the necessary skills and the roadmap to reach the goal you can then look to team size. Following these steps, you may discover that your team need not be more than 2 or 3 people in order to cover the skills and tasks necessary to accomplish your goal. Or it might be 4. Or 7. While the insight from Wharton management professors makes it easy to define the necessary team size you should aim for, factoring in workload tends to complicate things. A project manager may feel that the scale of a project requires more people in order to hit a deadline. Unfortunately, adding people for the sole purpose of increasing productivity can generate the Ringelmann Effect. 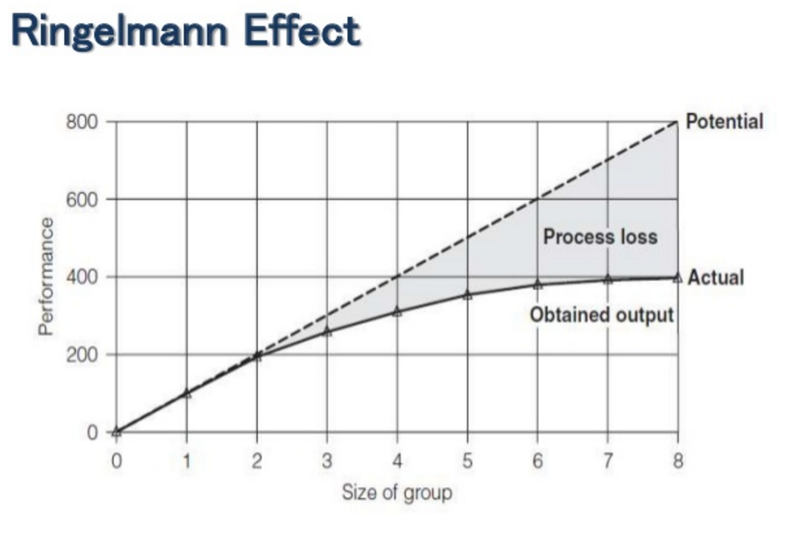 The Ringelmann Effect is the tendency for individual members of a group to become increasingly less productive as the size of their group increases. 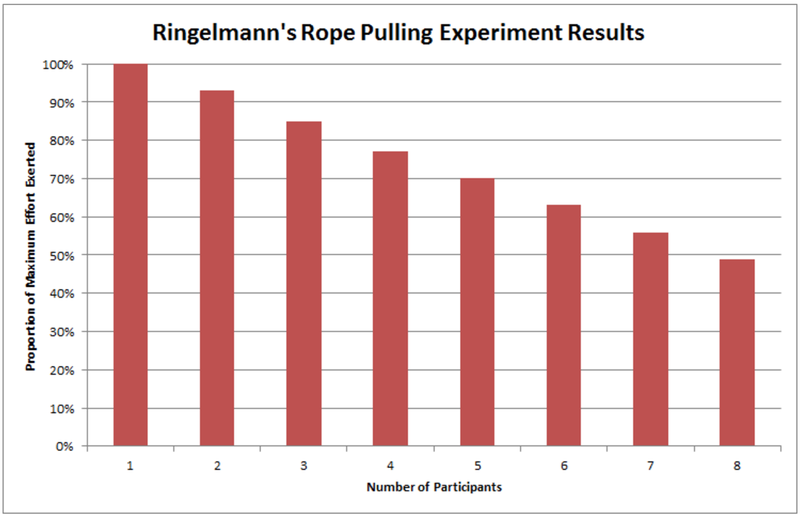 Ringelmann’s study analyzed how subjects pulled on a rope, both as an individual and as part of a group. The pull force of the individuals was measured, starting by themselves and then continually measured as more people were added. As the number of people pulling the rope increased, the total force being generated continued to rise. However, the average pull force of each individual diminished and continued to fall. This study discredits the idea that a larger team effort results in more effort overall, and it presents clear reasoning why attempting to target a specific team size with the aim of being more productive isn’t an effective approach. Basically, the potential of a larger team experiences “process loss,” leading to poor output. Harvard psychologist J. Richard Hackman was of the mindset that larger teams led to reduced productivity. In his studies, he found that, as you increase the number of individuals, the number of bodies that wasn’t necessarily the issue. It was the communication links that had to be maintained that created a great deal of strain. A group of 60 has 1,770 connection points to maintain. A large enterprise of 6,000 (Facebook’s headcount) has 17,997,000 connection points to maintain. 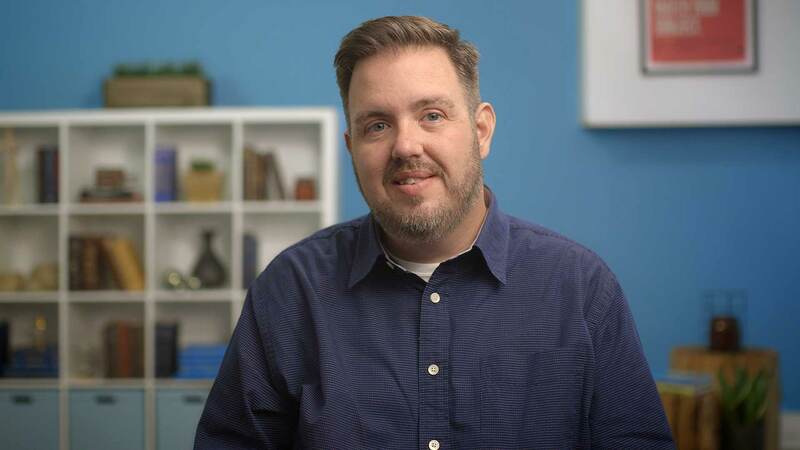 As the number of links between people rises, so do the opportunities for miscommunication, project delays, and human error in the deployment and execution with workflows. This coincides with Jennifer Mueller’s theory on relational loss—the idea that you feel like you’re receiving less support and engagement as a group or team grows in size. As a result, you perform worse and productivity drops. Mueller believed the growing number of links between people, based on Hackman’s formula, led to a deterioration of individual performance as well as a breakdown in communication and relationships. In her studies, even organizations with a large focus on coordination still showed compelling evidence for relational loss. Those findings show a correlation with Dunbar’s Number as well: a suggested cognitive limit to the number of people you can maintain a stable relationship with. Simply put, when the number of total cognitive connections (links) reaches its peak, performance and focus begin to decrease and you feel disconnected on a larger level. That creates feelings of isolation and chronic stress in larger groups. This, in turn, impacts the employee’s cognitive abilities, and productivity dies. When productivity issues arise it’s not uncommon for leadership to respond quickly and begin examining the performance of the employees in a group. That typically results in requirements for better communication, more accountability, disciplinary action, coaching for individual employees, and sometimes the addition of new people to a group to boost productivity. All of which do very little to improve productivity. In 1982, William Deming published a number of guiding principles that reshaped the automotive industry and ramped up productivity. His principles are still referred to today, and one is particularly applicable to this issue of auditing and improving productivity. It’s naïve to think productivity issues can be resolved with a specific team size, and even more so to think productivity issues relate specifically to a conscious decision by an employee to underperform. Too many leaders attempt to manage employees into being more productive. What should occur is an audit of the processes, where teams are built from employees specifically based on what needs to be accomplished. You eliminate the need to audit and continually add to it in the hopes of maintaining productivity. You’ve built a team that is exactly the right size, with the right people, who can accomplish the goals of your project. What’s the goal of the team? What skills are needed to achieve that goal? How many people do I need to cover the skill gaps? Be sure to arm your team with the resources they need for effective collaboration and the right project management tool. Watch the video below to see how TeamGantt works, and try our online project management software for free today!